Reserve a hive by paying in full or placing a $50 deposit. Hive orders should be made before January 1st for early April pick up in Edmonton, Alberta. If you require shipping, request a shipping quote. Shipped hive boxes are unassembled to minimize the cost of shipping. 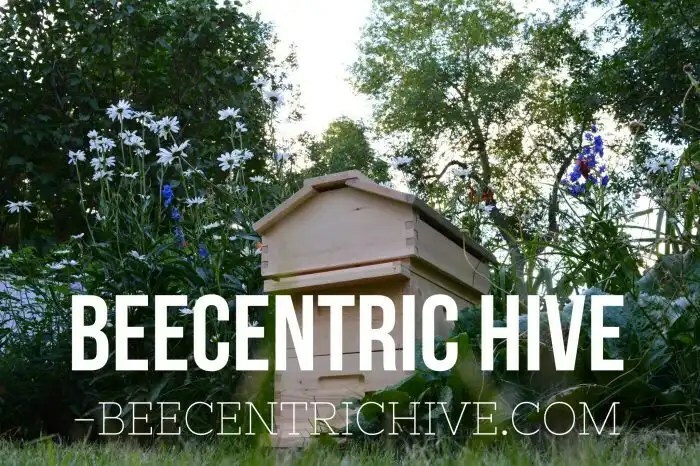 Each Beecentric Hive consists of one screened IPM bottom-board, three 8-frame medium boxes, one warre style quilt-box and roof, and two entrances with entrance reducers. Boxes fit standard medium langstroth frames (avaibale for purchase). Useful for accepting deep frames from a nucleus ‘nuc’ colony. Can we still order a full hive for the 2018 season? Hi Gene, unfortunately, I’m booked solid for this Spring. In the event that I have a cancellation or am able to squeak out an extra hive or two, I can let you know. If you want to be on the waitlist, send me a message here. I have just opened orders for the 2019 beekeeping season. I have a number of 8 frame boxes, but would be interested in purchasing a roof and quilt box as stand alone units. Do you sell these items as individual units? Yes. That is something that I will offer in the very near future. I’m presently fulfilling my existing spring order but generally, build a few extra components. I will send you an email. Thanks for the prompt reply, I look forward to hearing from you.